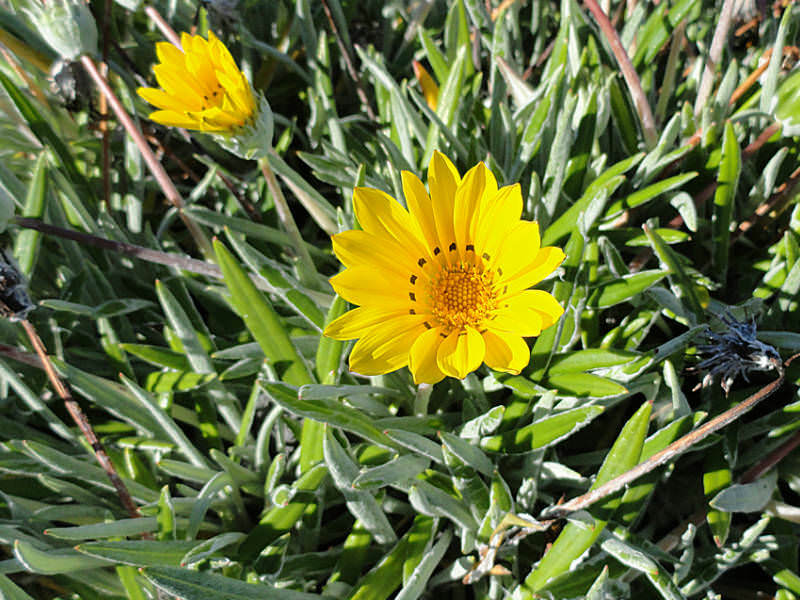 Gazania linearis is a mat-forming or clumping perennial herb growing from rhizomes. The leaves vary from narrowly elliptic and entire to deeply lobed, up to 4 inches (10 cm) long and up to 0.8 inch (2 cm) wide, dark green on the upper surface and white-hairy on the lower surface. 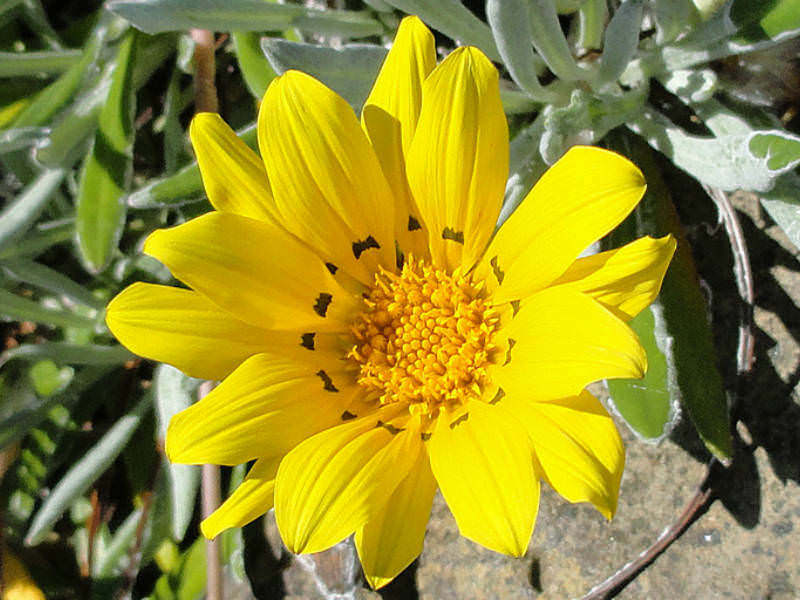 The plant produces large, up to 3 inches (8 cm) in diameter, solitary daisy-like flower-heads, bright yellow and orange in color with dark reddish center. The fruit is a tiny achene covered in very long hairs several times the length of the fruit body. Plant Gazanias in early spring, in full sun and well-draining soil, spacing multiple plants 12 to 18 inches (30 to 45 cm) apart to form a ground cover mat. 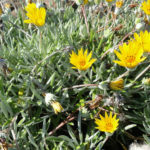 These flowers can tolerate almost any type of soil — alkaline, acidic, loam, clay and sand — as long as they have good drainage, though they prefer good, fertile loam. 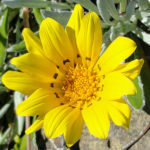 Water the Gazania, keeping it moist after planting until you see new growth. 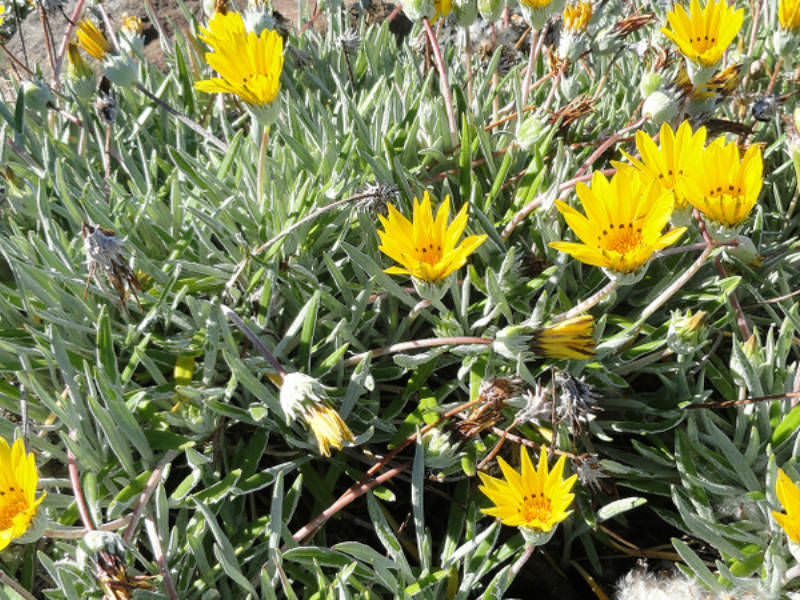 Once growing on its own, this plant is quite drought tolerant, and only requires supplemental water during droughts of three weeks or more. 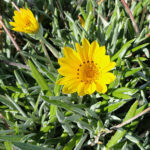 Water in the morning, as Gazanias can succumb to stem and root rots, powdery mildew and leaf spot that can result from staying wet for too long. Pinch off fading flowers with your fingers to encourage a longer bloom period. Prune annually in late winter or early spring, beginning in the second season, cutting the foliage back to 2 or 3 inches above the ground with pruning shears. 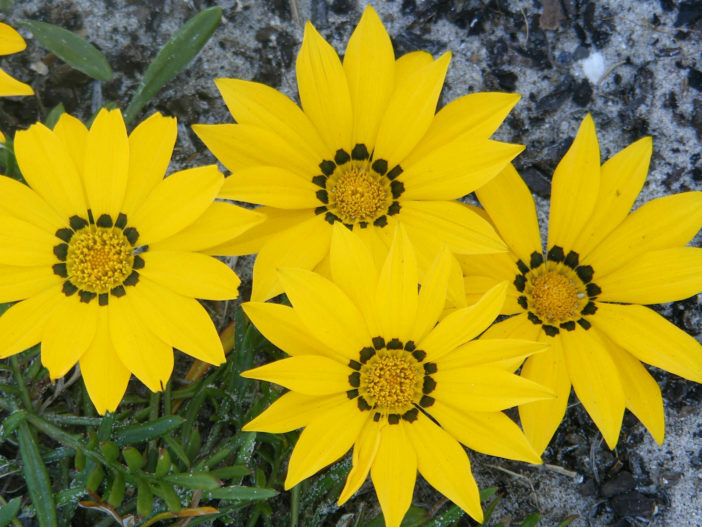 This will refresh the plant and encourage new growth… – See more at: How to Grow and Care for Gazania.